Royal Caribbean Cruises Ltd. (RCL) has officially acquired a two-thirds stake in privately owned luxury and expedition cruise operator Silversea Cruises after receiving final approval from regulators. The acquisition, which was first revealed this June, has seen RCL purchase a 66.7% stake of Silversea for around US$2 billion based on an enterprise value of approximately US$2 billion. Silversea owner Manfredi Lefebvre D'Ovidio will retain the remaining 33.3% shares in Silversea and continue his role as the company’s executive chairman. Silversea Cruises is to carry out partial refurbishments onboard Silver Wind and Silver Whisper in December 2017. Part of the line’s fleet-wide refurbishment programme launched at the end of 2016, Silver Whisper’s renovation will incorporate technical improvements and a ‘significant redesign’ of public areas. Many of the public areas will take inspiration from the décor on Silversea’s new flagship Silver Muse, such as the new carpets and other upgrades in La Terrazza and the Observation and Panorama lounges. 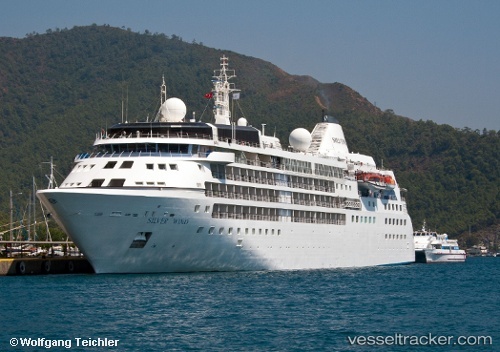 Silver Wind will be upgraded in a similar format, also taking inspiration from Silver Muse. The casino will also be fitted with new carpets and reupholstered chairs, while the floors will be updated in the spa and beauty salon. “Silver Muse has been a sophisticated inspirational milestone for our brand,” said Roberto Martinoli, Silversea’s CEO.